Chicago, Ill. - The Chicago Blackhawks announced today they have acquired defenseman Christian Ehrhoff (AYR-hahf) from the Los Angeles Kings in exchange for defenseman Rob Scuderi. Ehrhoff, 33, has registered 10 points (2G, 8A) in 40 games with Los Angeles this season and tallied three assists in five games with the American Hockey League’s Ontario Regin. The Moers, Germany, native leads all German-born defensemen with 337 points (74G, 263A) in 781 career National Hockey League games across 12 seasons with San Jose (2003-09), Vancouver (2009-11), Buffalo (2011-14), Pittsburgh (2014-15) and Los Angeles (2015-16). He has added 34 points (7G, 27A) in 73 Stanley Cup Playoffs games. Ehrhoff has posted 52 points (16G, 36A) in 111 career AHL games and collected eight points (2G, 6A) in nine Calder Cup Playoffs games. He was drafted by San Jose in the fourth round (106th overall) of the 2001 NHL Draft. Scuderi, 37, appeared in 17 games with Chicago since being acquired from the Pittsburgh Penguins on Dec. 14, 2015; he registered four assists in 25 games with Pittsburgh prior to joining the Blackhawks. 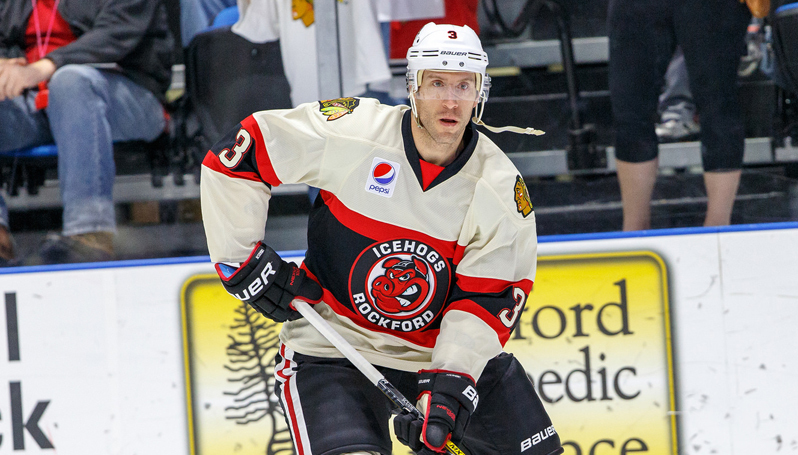 He has also skated in three games with the AHL’s Rockford IceHogs. The two-time Stanley Cup champion (2009 and 2012) has recorded 104 points (8G, 96A) in 762 regular-season games across 12 seasons with Chicago (2015-16), Pittsburgh (2003-09, 2013-15) and Los Angeles (2009-13). He has tallied 14 points (1G, 13A) in 117 career postseason contests. Scuderi was drafted by Pittsburgh in the fifth round (134th overall) of the 1998 NHL Draft.